The Ivory 'Cool' Tuxedo (Long) Coat by Andrew Fezza combines both elegance and style. Featuring a 4 button single-breasted front, satin notch lapels, satin besom pockets, center vented, and fashioned from Ivory Polyester. 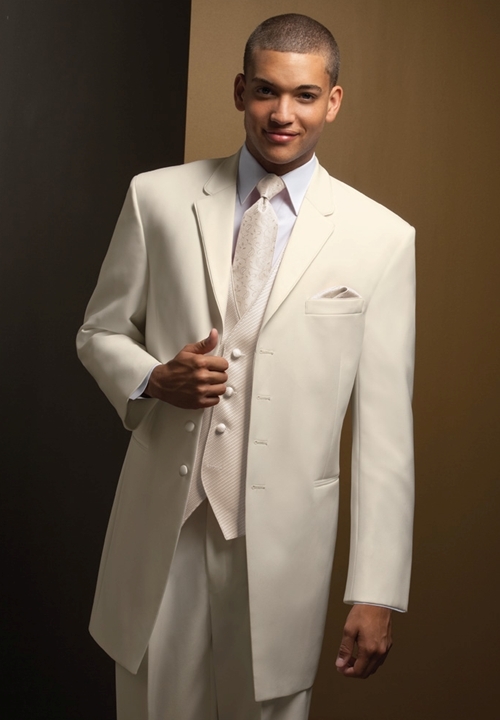 This is a perfect Prom or Wedding tuxedo coat that will allow you to look your best and be yourself all at the same time!